Hello Friends! When I heard that guitarist Keith Nelson left Buckcherry I was skeptical as to what the sound of the next album would be like, to say the least. Keith and lead vocalist Josh Todd started this group together. I have been following Buckcherry since its inception in 1999. I believed this was the band to bring Rock N Roll to the forefront again. Alas, we all know that has not happened. You see kids, back when I was a teenager, rock n roll reigned supreme on pop radio. I keep hoping for the second coming; we all need a dream. One of many for me. 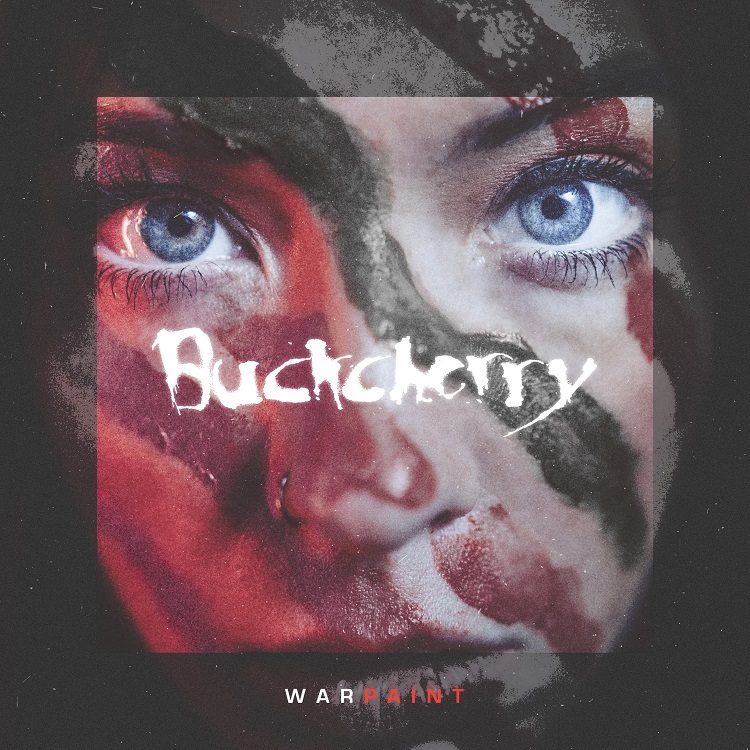 Warpaint is album number eight for Buckcherry. I have had this in the mix since its release two weeks ago. That being said, I enjoy this album. The title cut starts off our journey. It’s a catchy tune with a sing along chorus and tasty guitar bits. I could not sit still as this song played. Tribal drums and a groovy acoustic guitar kick off “Right Now”. This tune had me bouncing my head right along with it. Next, “Head Like a Hole” This is my favorite Nine Inch Nails song and to hear Buckcherry cover it so wonderfully was a certain home-run for me. After this bit of excitement, the band slows things down a bit with “Radio Song”. True to its title, it is exactly that. Everything you would expect to hear when you put the dial on your favorite station. This song is so catchy that I challenge you not to sing along before it finishes. Bass lines and guitar licks consume the next couple tracks of “Vacuum” and “Bent”, and based on my taste in rock music there is nothing wrong with that! The vocal harmonies that kick off “Back Down” get me all kinds of excited. Typical Josh Todd (Lead vocals) attitude that showcases a little swing in feel. This tune seems to lull in the verse but comes back strong to hook you with the harmonies during the Chorus. The slide guitar solo was also a welcomed surprise. “Back Down” might be my favorite song from this album. “The Alarm” stomps a mud hole in your chest with its beginning and I, for one, can dig it! It is a definite party song to start any weekend. This selection had me singing along before the conclusion and yes, I am aware that I may sound like a broken record but this album is quite strong. “No Regrets” is yet another song that I just cannot sit still and listen to. You know its good when a song moves you and while this one may not move you emotionally, if you are tapping your foot, you are still being moved. That makes sense to me and I am sticking to it! “The Hunger”, in my opinion, is a typical token ballad. I have spun this album four times as I write this and as much as I try I just cannot get excited about this one. With that said, “Closer” got me right back in my feels, not the lame cry in my beer feels, the “this band F-N rocks” feels. In good fashion Buckcherry finishes off Warpaint with a tight guitar and bass line combo, “The Devil is in the Details”. A crazy rant towards the end of the song and then back to the screaming power with both vocals and guitars. Well done! The Devil truly is in the details! This is a great album that I can play all of without the urge to skip songs. Possibly one on the next spin. 😉 I was a fan of this band before reviewing Warpaint and will continue to be moving forward with strong offerings like this one. Buckcherry is coming to Pop’s in Sauget April 22. If you have not seen them live, do it! You will not regret it. If you collect albums, you should consider adding this one to your collection. If you don’t have any of their past albums, send me a message and I will let you know what to tackle next.